30.10.2015. Glasgow, Scotland. FIG Artistic Gymnastics World Championships. Day Eight. 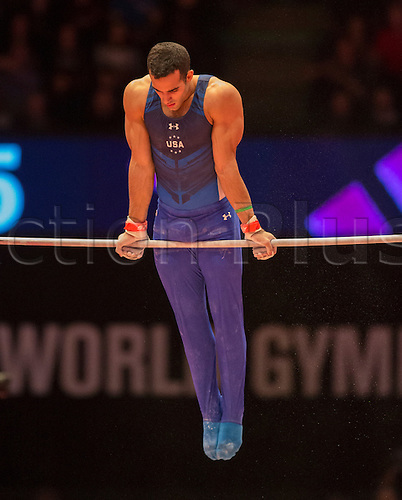 Danell LEYVA (USA) 2014 World Championships Team Bronze Medallist and Parallel Bars Silver Medallist during his Horizontal Bar routine in the Men's All-Around Final.